The 1980's saw an immense surge in interest in the sports card collecting hobby. This era re-defined rookie card. 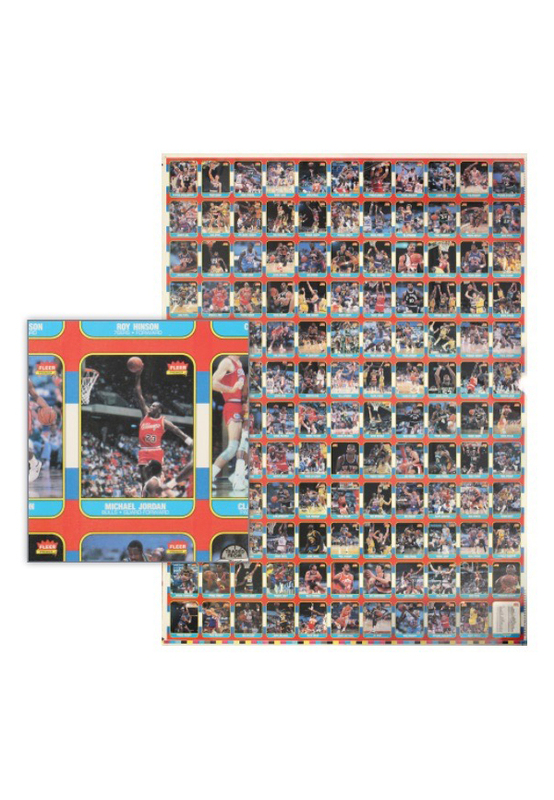 The 1986 Fleer edition of 132 cards is the most coveted basketball set of the modern era. 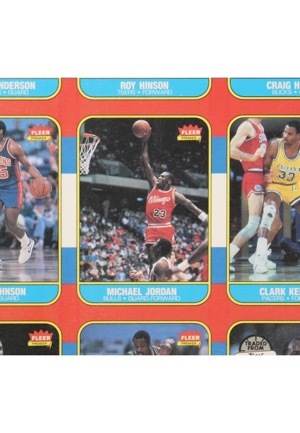 The set boasts a remarkable assembly of rookie talent, highlighted by the number fifty-seven card Michael Jordan. 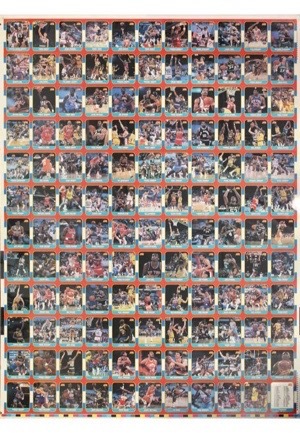 A short list of esteemed stars and HoFers who appear in this set (many their rookie debut) include Jordan, Charles Barkley, Clyde Drexler, Joe Dumars, Patrick Ewing, Karl Malone, Manute Bol, Wayman Tisdale, Chris Mullin, Hakeem Olajuwon, Isiah Thomas, Dominique Wilkins, James Worthy, Patrick Ewing, Magic Johnson, Julius Erving, Larry Bird and Kareem Abdul-Jabbar. 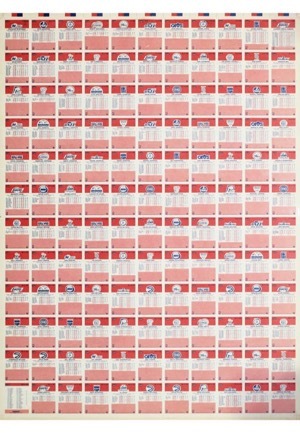 This rarely seen 132-card full-uncut sheet features the entire set of cards. Outer corners and perimeter show very mild wear and is close to a fully mint sheet. 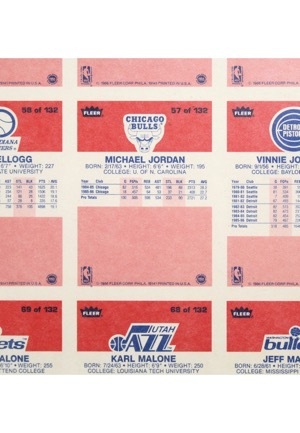 An incredible piece from the most sought after set of modern basketball cards.